Why are some Tottenham fans so insistent on instilling a culture of panic amongst the fan base? Perhaps it’s a failure to recognise when they’re on to something good, or maybe they’re all so used to finishing short of where they’d imagined that they’re now proactively and perversely seeking the bitter comfort and familiarity of disappointment. 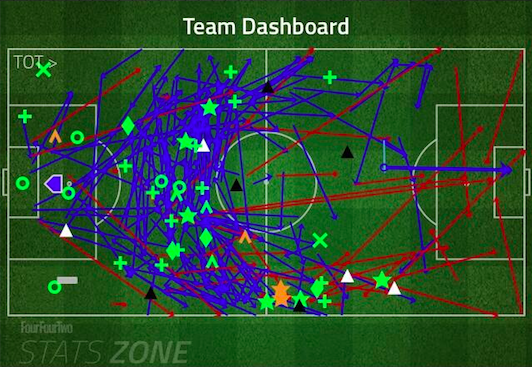 That was all well and good before it actually started negatively effecting team performances. Here is why, in my opinion at least, any notion of arses twitching at the first sign of discomfort is completely nonsensical. We are, as we have been now for fast approaching a decade, a club heading in the right direction. We’ve come through various set-backs, and have constantly made the best of our situation and come out better for it. Level headed, positive and confident in improvement - this is a guide to the slight tweaks and changes that need to be made in order for this to be another record breaking season for Tottenham, presented might I add, in no particular order. After all, if I can spot them, the statistically second most successful manager in the clubs history probably can do, too. Tottenham have become a team that look to play out from the back, press with a higher line defence and value a solid defence just as much as a potent attack. None of that, not one iota, would function effectively without Hugo Lloris. His maverick ability to play a sweeper-keeper role to such a consistently high standard has seen him become our player of the year this season, with his proactive game being an obvious catalyst in several Tottenham results already this season. The problem arises then, when Lloris isn’t in goal. 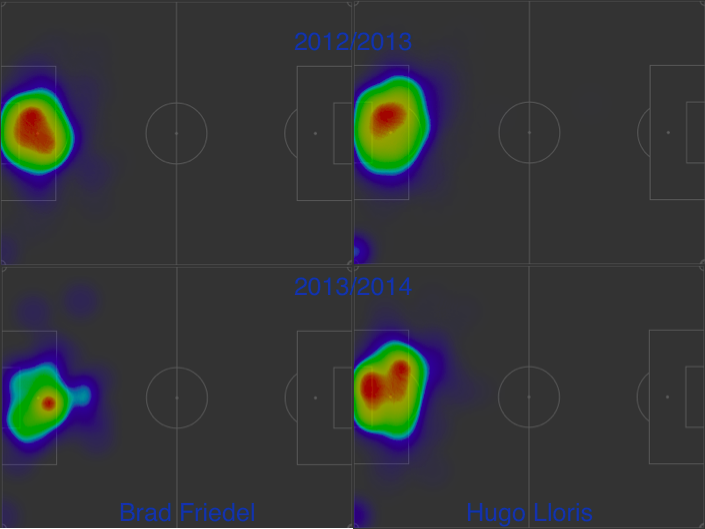 Brad Friedel has been nothing short of calamitous over the past two seasons, with his style of goalkeeping sticking out like a sore thumb in our current defensive system. Rather than readjusting a well drilled tactic to compensate for one man’s obvious and costly deficiencies, Tottenham can now do one of two things: either go out and buy an understudy in the image of Lloris, who can replicate that style, or promote Heurelho Gomes and allow him to prove his worth and earn his wages. With so much made of a new found squad depth at Tottenham, it has almost flown completely under the radar of how under strength we are in the full-back positions. To our detriment, we’re forced to play one of the league’s finest centre-back’s out of position to compensate due to a lack of any other quality options. Caught out against quicker wingers, often guilty of getting the balance wrong between defence and attack, Vertonghen rarely covers himself in glory when playing wider. Trading a players happiness, the overall quality of the defence and squad harmony to paper over cracks should be setting off alarm bells in the offices of the Director Of Football. The fact that Michael Dawson’s undeniable passion for the club saw him turn down a lucrative move to Queens Park Rangers where he’d have had infinitely more playing time in order stay at Tottenham and fight to win back his starting berth and captaincy was nothing short remarkable. That sort of blind loyalty in the face of what seemed like a good move at the time is seen few and far between in modern football, especially when the selling club seemed so keen to let the transfer progress. However, between the return to form and fitness of Younes Kaboul, and the wonderful start at the club that Vlad Chiricheș has made, the flaws and limitations in Dawson’s game are becoming increasingly costly and evident. His lack of pace has been often covered by the proactive nature of the aforementioned Lloris, but his tendency to play longer balls rather than build play, make rash challenges and be too easily beaten by faster and better players has become and issue to resolve. The deserved player of the season in 2011/2012, Younes Kaboul has already shown his class and began to prove his fitness this season, so the armband shouldn’t be far behind. Michael Dawson still has a role to play at the club across cups games, against lesser european teams and the more direct league sides, but his days as a guaranteed starter should be coming to an end sooner rather than later. Often mistaken to be a negative aspect of our game, the importance of the defensive midfielder in any top side across the world is undeniable. The ability to win the ball back, and shield the defence when playing so highly up the field is an essential quality to possess. However, with injuries to both Sandro and Capoue halting their influence early on this season, having both fit and readily available to rotate and interchange will be an obvious strong point of the squad. What needs to be established, sooner rather than later one hopes, is set partnerships in the first midfield band in the deeper area of midfield. With clearly defined roles and responsibilities, we will be able to get the best out of every player on the park, rather than seeing the more stilted approach that can occur when two players of a similar nature overcomplicate their involvement and confuse the rhythm of the attacking play. The natural pairings would be to see Sandro/Paulinho, and Dembélé/Capoue play more frequently together in order to forge an understanding, which would then in time allow us to operate more fluidly across the middle and more successfully operate different tactics and formations throughout the same game, which would greatly help the current lack of goals being scored from open play. Retreading similar points of which were made when discussing Vertonghen filling in wider areas, the effect left-back is having on the team needs addressing in greater detail. It’s no secret that Tottenham were actively seeking to purchase, or even loan a left-back in the summer, but failure to do so has left a shallow pool of players to chose from in what is an increasingly essential position. With injury to Rose occurring so early in the season, the lack of ability displayed by Kyle Naughton has been magnified significantly. Not only appearing to look entirely out of place in premier league fixtures, Naughton has become unstuck against what are some borderline amateur sides in the Europa League, which is a damning evaluation of a player who was once thought to have shown more promise than Kyle Walker. If we are to buy one player, and one player only in January, then priority should be a left full back. It’s become almost perversely funny that a player like Danny Rose, who was once having his ability doubted before he’d started a game for us this season has now become our most missed player. In an attacking sense, having a left footed player operating on the left flank is required to give the team a real feeling of balance, as on the occasions we’ve had two right footed players playing on the left together this season have shown us with no uncertainty that the options available to us in the game become woefully limited. Christian Eriksen is 21 years old, Erik Lamela is 21 years old and Lewis Holtby has turned 23 within the last few weeks. The next generation of creative players at Tottenham have names and reputations such as Modrić, Van Der Vaart and Bale to be compared and live up to. Just to clarify, when those exceptional players had their best years at the club, they were 25, 28 and 24 years of age respectively. Our current crop have a lot to learn and long way to develop before they can perform to that level as consistently as the players they were bought to replace once did. However, each one of those three players have already shown us glimpses of brilliance already, even in their formative years. Given time to properly settle, grow in to the club and really find their feet, we’ll soon be bragging about the abundance of young talent available to us at any given time. Lewis Holtby has taken almost a full calendar year to really make a sustained impression in the first team, so if Villas-Boas’ policy of bedding in players slowly comes to the fore again, then so be it. It’s proven to have worked so far. We have, in managerial terms at least, a child prodigy like figure managing us. However, with a profession like football management, youth and intelligence can only take you so far, and at some point having gotten your hands dirty and gained solid on the job experience over a sustained period of years will begin to have its effect. Comparing Villas-Boas to the man currently top of the league, Arsène Wenger, the gulf in matches managed and lessons learned from years upon years in management is staggering. Across his impressive managerial career so far, Villas-Boas has been in charge for exactly 200 competitive fixtures, whereas his direct rival has been at the helm for over 1,400. Our manager is already the youngest man to ever win a European competition as manager, and he has 6years remaining to become the youngest ever manager to win the premier league too. A young man in charge of a young team building for the future is what people should be excited about seeing, but the lack of instant gratification is apparently too much of a cross to bear for some. It’s no coincidence that during his time at Tottenham, Jermain Defoe has spent more time playing second fiddle to more involved centre forwards than starting games and scoring goals. Managers have come, and managers have gone, just as Defoe did, and yet still he largely remained an option from the bench. The reason for this, for me at least, is painfully simple. Jermain Defoe is more of a hindrance to the teams overall performance than a help. He may score goals on occasion, and usually in fits and starts if that, but his presence on the football field stops the attacking flow of the team being able to operate to full capacity. If he’s playing, he wants to be the one who’s scoring, and will often prioritise his own attacking ambitions ahead of better options across the park. At a younger age, this was almost forgivable, his thirst for goals was an endearing trait for most fans, and something he’d grow out of once he’d gotten older for others. However, unforgivably, Defoe has spectacularly failed to adapt and adjust with age, and if anything, has taken his greedy approach to play in the final third to all new levels of disruption. The sooner Emmanuel Adebayor is reintegrated in to the squad as the main challenger to Soldado's starting berth, the better. His best performance in a Tottenham shirt recently came in the 2-3 win at Old Trafford in 2012/13, where he didn’t score a single goal. However, his use of running off the ball in space allowed other, better players, to exploit room and score winning goals. It was a selfless, modern, excellent and encouraging performance. But it was a one-off, and one of a kind. A much rumoured return to West Ham is looking increasingly likely to happen, and would be a good move for both parties; Defoe’s uncultured one-track approach to the game would fit in perfectly with the style of football Sam Allardyce so clearly cherishes. With an almost opposite problem to Defoe, new signing Roberto Soldado’s early showings for Tottenham have been almost too selfless, the poacher from Valencia now operating in a different role to that he mastered in Spain. Now playing more football with his back to goal, as part of a more cohesive forward unit, Soldado’s early performances were extremely polite and mild mannered, his reluctance to go alone or show any sign of selfishness evident. However, in recent weeks, the frustration of not scoring as often as he would like has crept in, and this has allowed the side of his game which urges him to test keepers more regularly to slip back in to place, which can only be welcoming. During the recent loss against Newcastle, for example, despite not scoring when he may well have done better to do so, he showed an instinct in and around the goal which had been missing in his game up until then. Soldado needs to strike a balance between being part of the attacking unit and being his own goalscoring man, and it thankfully looks like happening sooner rather than later. He’ll thrive on an added tempo to the game as the rest of the team become more settled, and the player that we saw scoring snapshots with every inch of his body in La Liga will find his touch in the premier league. Choice phrases such as ‘lack of plan b’ and ‘only one tactic’ have been levelled by some toward Tottenham performances this season, but I find it harder and harder to agree to more I see the team operate. At times, we’ve already shown the ability to swap between the usual 4-2-3-1, an adjusted 4-1-2-3, a more attacking 4-3-3 and at stages in some european games we’ve settled in a 3-4-3 with the ball for longer periods. What the below tactics boards show is the various ways in which we’ve set up at stages this season, and the patterns they share, rather than the subtle differences, are the main points to take away. Each formation relies on having a competent, multi-skilled central defensive midfielder, a roaming sweeper keeper, ball playing defenders, wing-backs and a lone striker who can play deeper if required. If you then match the areas in which we’ve impressed this season to their tactical counterparts, and do the same in attack, you can see the correlations between which areas haven’t fulfilled their purpose. I would in turn argue, based on what is shown, that the tactical rigidity of which we’re operating isn’t to blame, but merely readjusting the new personnel, accounting for key injuries and pointing fingers at individuals not up to the task isn’t a task that can be ironed out overnight, but something we should be aiming to have behind us by the time we hit the business end of the season around Christmas. There has been a growing notion that the squad has been over rotated, and that this swapping of personnel from game to game hasn’t helped us settle, and that the option of having a more assured team ready for the league would be a better option. That is something, as you might gather, I believe to be a complete nonsense. Rather than concentrating on playing a Redknapp like preferred team for certain games, what we need to establish is which players work best together in certain sections of the field. For example, we’ve already explored the notion that we need to decide who plays best together in the first midfield band, and that the lack of a left-footed left full-back is disrupting the attacking potency of the side down that flank and limiting more inverted play from the likes of Sigurdsson and Chadli, but we need to take that way of thinking and use it much more broadly over the entire team. The theory itself isn’t without precedent, England manager Roy Hodgson all but confirmed Andros Townsend’s involvement from the start was due to his pre-existing relationship with clubmate Kyle Walker. A constant threat going forwards, much more assured in defence, the player that won countless plaudits two seasons ago seems to have all but returned. Rewarded with a new longer term, and almost certainly more lucrative contract after proving his worth, Walker has shown that he can operate in the manner a modern full-back needs to, providing a threat as an auxiliary forward whilst simultaneously having the awareness to cover in defence. His performances this season have been heart warming to see, his energy and undeniable athleticism has him often being an attacking catalyst late on in to games, dragging the game forwards and pushing oppositions teams deeper as he makes run after run down the flank to try and provide an assist. All that’s missing is finding an effective deputy, so that he doesn’t come in danger of fatiguing further down the line. 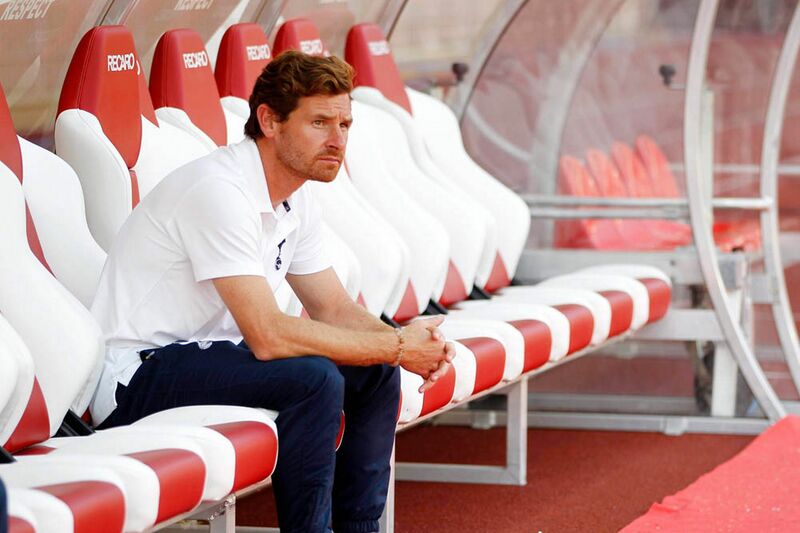 Famous for not having served longer than a season at any club he’s managed, André Villas-Boas bucked the trend when he decided to ignore overtures from other clubs in the summer and stay for a second season at White Hart Lane. However, with that firmly in mind, the manager with the second best overall win percentage in the clubs entire history is now more than two years in to his three year contract with the club. Given his age, given the way in which we’ve built since his arrival and the obstacles he’s overcome in his time at the club, I’d be entirely confident in making him a manager to invest in. In a similar manner to which you allow younger players to come in to a club and fulfil their potential over time, the same method could be allowed to Villas-Boas, and we could be in the unique situation of cultivating both a young manager and squad in tandem. However, the added security of giving the manager a new contract, or at least offering him one, would go beyond merely keeping him at the club. If he were to accept a job elsewhere, and wish to relinquish his reigns at the club, we’d receive much more compensation for a manager who could leave us in the lurch, rather than losing him free whilst out of contract or in the final year of one. There has been a concern lodged about the speed in which we not only begin games, but launch attacks within them, and it’s not without merit. With the uncertainty in the first midfield band, with Paulinho and Dembélé failing to take the initiative when forced to play together, the link between that area of the field and the more advanced attacking midfielder has been greatly missing. The transitions, and turnovers, are essentially the phases of play in which the possession has been won back or a loose ball has been picked up by one of our players, and then the immediacy of which they know where and who to distribute the ball to in order to turn defence in to attack as quickly as humanly possible. The reason this would help our play, as the below graphic showing our regular pattern of play illustrates, is that lethargy when coming in to possession is allowing defences too much time to organise themselves against our attacks and get numbers behind the ball. The cure to this, as alluded to, could be the return to form and fitness of both Sandro and Capoue, allowing one of the aforementioned Paulinho or Dembéléto concentrate their game around building attacks from deeper, being an outlet for their more defensive partner and being the impetus from around half-way that we currently lack. However, should they both continue to show indifference in form, another option could be Lewis Holtby, who’s energy and willingness to defend could lend itself perfectly for the role, and allow Eriksen a more extended run in the number ten role he’s most comfortable in. Performances aside, the fact that we’ve clearly struggled at times this season, yet steadily improved on our return from what we’ve ever posted previously in the premier league era is remarkable. We’re a team very much operating at half-pace, yet we’re still within touching distance of not only the top four, but the top of the table too. The trajectory of this season almost echoes the path in which we took last year, where again we took the early part of the season to find our feet and rhythm, before going through the most congested section of the season at Christmas as the league’s form team, making our most visible assault on the higher areas of the league all season. The upheaval in the summer can’t be attributed to anything other than bad luck, the plan, or at least the plan presented to us, was to build a team around Gareth Bale, and allow him to be the focal point of a more settled side. However, his insistence on a transfer forced our hand somewhat, and we’ve had to reshape the squad to a greater extent to which I think we ever intended to. The main criticism of our summer business that we’d done ‘too much too soon’ wasn’t with merit, but the fact we’re keeping up with much more established and settled outfits whilst growing as a club and team can only be a positive. The football we’ve been playing hasn’t been perfect, and neither have the results, but it’s worth bearing in mind that the overall turbulence at a club going through quite as much change as ours at once could’ve impacted us much worse than it actually has. Famously, the most successful Manchester United sides under Sir Alex Ferguson rarely ever started the season in the form in which would be befitting of a championship side. A manager who was no stranger to upheaval, rebuilding squads and keeping calm in the face of criticism, he managed to again and again repeat a formula which would see a doubted Manchester United side crush all that was put before them in rampant title surge after rampant title surge. Starting the season as we have, competitive without being complete, is a mirror of the way in which some Sir Alex teams began their title winning campaigns. Biding their time, they would quietly keep in touching distance before finding their feet in their own time, and by the time Christmas came, and the year turned, they became damn near unstoppable. Now I’m not saying we’re going to win the league, but I am pointing out that there’s a good chance that if we time our form right, and find ourselves, our balance and our identity just at the right moment, our squad is good enough to make a real assault on the league over the second half of the year. The cliché that winning a league title is more of a marathon than a spring may have become throwaway, but it still holds truth. In favourable positions in all four competitions we’re involved in this season, if Tottenham time the run right, 2014 could be a run of form and trophies to remember. Contextualising our standing as a club is always a difficult thing to explain to fellow fans. While we’re a big club historically, in the business driven world of modern football, our current infrastructure is more befitting of a smaller, less successful side. We’ve only just spent our first season in a state of the art training complex, while some clubs have had theirs for decades. White Hart Lane is simply far too small for a club with our aspirations and a replacement won’t be finished anytime soon, with some Championship clubs boasting larger homes in the meantime. Our comercial standing is not yet on the same level of the traditionally more broadly well supported clubs, and our worldwide fan base, whilst evidently growing, is a toe in the ocean compared to the overseas following some clubs can capitilise on. While these sorts of things seem like distractions, the main appeal being the club we love and the games we’re playing, all of that tertiary business work directly feeds in to just how competitive we can be on the field. Some clubs, Chelsea and Manchester City namely, have achieved that growth in a short period of time, both artificially and immorally. Tottenham, however, are playing catch-up in the right way, still shaking off the cobwebs of decades of financial insecurity in the recent past to build a viable, self-sustainable, profit making business model. If we can marry the Tottenham ethos and spirit both on and off the field, and continue to grow both on and off the field exponentially without trading in our morals, when victory and glory eventually comes calling, it’ll be all the more sweeter. However, all of that aside, the tactics boards, heat maps, business jargon and talk of expansion, it will forever remain that the reason we involve ourselves in such matters is a shared love for the club we all support. While at times it may be frustrating, and lord knows we don’t have it easy, we can’t allow ourselves to be sucked in to a world of chasing false promises and glorified ideals at the expense of the positive atmosphere around the club as a whole. It was, in no uncertain terms, quite frankly embarrassing that our manager had to publicly chastise the home crowd for not doing their part, singing for the shirt, making White Hart Lane a place the players look forward to putting a show on in rather than dread to enter. None of what comes above this point really matters if we as a fan base don't get behind the team as positively as possible. It’s downright hypocritical to expect and want the best football in the league if we can’t provide the best atmosphere, the two things aren’t mutually exclusive. Sing, clap, hum, bang your feet, or if you don’t want to make noise, stay completely silent, but the growing culture of moaning, openly arguing with players and booing the manager is counter-productive, and is harming our chances of achieving what it is that you’re getting riled up about in the first place. Tottenham Hotspur is a club, a community and something we should all be proud of being a real part of, let’s just go against the grain of modern football and allow ourselves behave like that’s the case more often than not, shall we?